My iPhone Screen Is Blinking! Here's The Real Fix. You are at:Home»iPhone»Display»My iPhone Screen Is Blinking! Here’s The Real Fix. Your iPhone display keeps blinking and you’re not sure why. No matter what you do, the screen keeps flashing! In this article, I’ll show you what to do when your iPhone screen is blinking! A hard reset may temporarily fix your blinking iPhone if a software crash caused the problem. Often times, software crashes may also freeze your iPhone — a hard reset can fix that too! iPhone SE, 6s, and earlier: Press and hold both the power button and the Home button at the same time until the Apple logo flashes onto the center of the screen. iPhone 7 & 7 Plus: Simultaneously press and hold the power button and the Volume down button. Release both buttons when the Apple logo appears on the display. iPhone 8, X, and XS: Quickly press and release the Volume Up button, then Volume Down button, then press and hold down on the side button until you see the Apple logo appear. A hard reset is only a temporary fix for a blinking iPhone screen. We still haven’t addressed the root cause of the problem, which we can attempt to fix with a DFU restore. If a hard reset didn’t fix your iPhone screen, we still recommend putting your iPhone in DFU mode before exploring repair options! The DFU restore is the deepest restore you can perform on an iPhone. All of your iPhone’s code is erased and reloaded, giving it a completely fresh start! Make sure you have a backup of information before putting your iPhone in DFU mode. That way, once the restore is complete, you won’t lose and photos, videos, or contacts. Check out our step-by-step guide when you’re ready to put your iPhone in DFU mode! 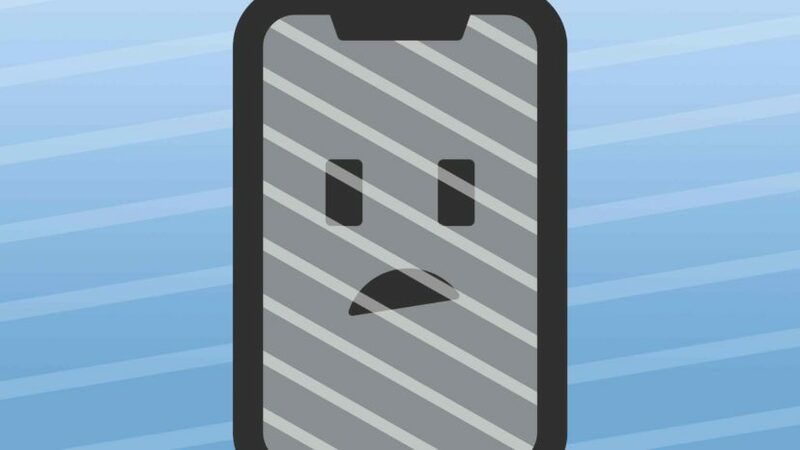 You’ll probably have to get your iPhone repaired if it’s still blinking after the DFU restore. If you recently dropped your iPhone, or if it was recently exposed to liquid, some internal components could be damaged. Take your iPhone into your local Apple Store if you have an AppleCare+ plan. We recommend setting up an appointment at the Genius Bar first so you don’t have to spend the day waiting around. Puls is another great option if you want to get your blinking iPhone screen repaired today. They’ll send a technician directly to you in as little as 60 minutes! Puls repairs are sometimes cheaper than Apple and they come with a lifetime warranty. You’ve fixed your blinking iPhone screen! Next time your iPhone screen is blinking, you’ll know exactly how to fix the problem. Leave any other questions you have about your iPhone down below in the comments section! Previous ArticleWhy Is My iPhone Screen Blank? Here’s The Fix! Next Article Best Deals On The iPhone XS & XS Max | Get Yours Today!